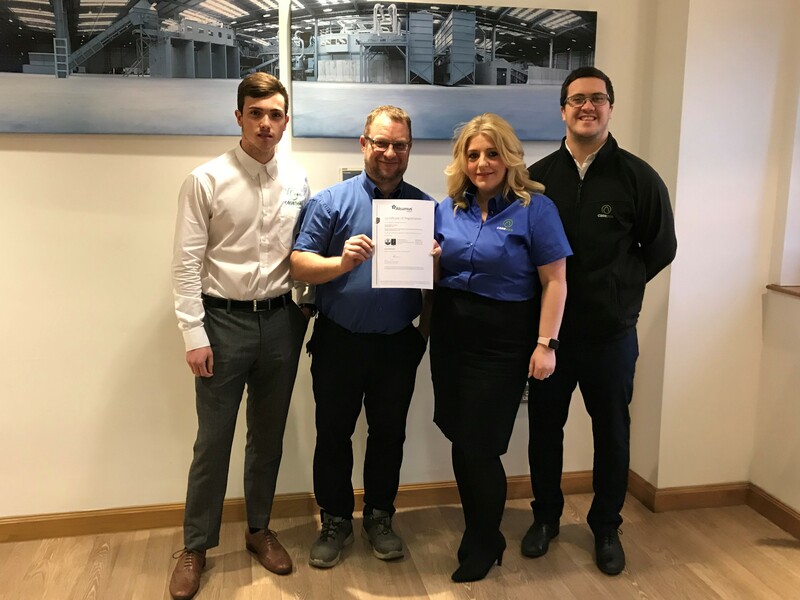 Family-run company Casepak is one of the first-ever recycling companies to have been awarded the new ISO 45001 certification, which underlines the company’s commitment to health and safety. Published in spring 2018, ISO 45001:2018 is an international standard that cites requirements for an Occupational Health and Safety Management System, with guidance for use to enable a company to proactively improve its performance in preventing injury and ill health. Casepak operates two sites in Leicester; a Collections and Processing Facility in Enderby, and a 165,000 tonne per annum Materials Recycling Facility in Braunstone Frith. The company has a long-standing record of outstanding performance under the existing OHSAS 18001 Health and Safety Management System and wanted to exceed its commitment by working to migrate to the rigorous new ISO 45001:2018 standard soon after it was published. ISO 45001 assists the company to identify and operate within legislative requirements, considers risks and opportunities for improvements and incorporates the views of wider interested parties relevant to the business environment – this being the main change from OHSAS 18001. Elizabeth Mott, Casepak’s Compliance Manager, said: “Health and safety has always been an integral part of the business and we recognise the many hazards and challenges that operating within the recycling and waste management industry presents. Casepak's ISO 45001 certification is subject to a three year cycle of external surveillance visits.